If you are a librarian you need this book for your collection. 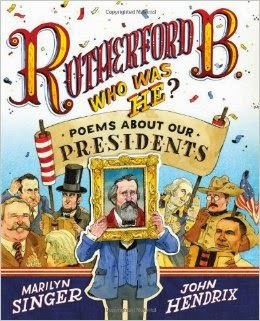 The poems are fun but filled with information about each president and his times. The illustrations are lively and have other bits of info for those who want to take the time to study them. If you're not a librarian, you still probably need this book to make history and biography interesting.